Charlie W. Starr teaches English, Humanities, and Film at Kentucky Christian University in Eastern Kentucky. He teaches, writes and lectures on C. S. Lewis and J.R.R. Tolkien, and has published five books: two biblical studies, a children’s fantasy, a work on C. S. Lewis entitled Light: C. S. Lewis’s First and Final Short Story, which has released a never before published C. S. Lewis manuscript, and most recently a science fiction novel called The Heart of Light. Charlie enjoys caving, writing, reading, watching lousy television, and movies of every kind. His areas of expertise as a teacher include literature, film, and all things C. S. Lewis. Charlie and his wife Becky, have two mostly grown-up children, Bryan and Alathia, and a five pound family dog named Phydeaux. Rick D. Williams has been working with Christian students in educational settings for nearly 20 years. Following a 15-year career in teaching and administration at Judah Christian High School in Champaign, Illinois, Mr. Williams moved in 2011 to a new position as Housing Minister for the Baptist Student Foundation at the University of Illinois. There he oversees residential life and operations for three Christian cooperative residences which serve over 80 undergraduate and graduate students. He also serves as campus advisor for Veritas Forum at the University of Illinois. Mr. Williams holds Master’s and Bachelor’s degrees from Illinois State University and has done additional graduate studies at Lincoln Christian Seminary and Urbana Theological Seminary. His teaching experience includes college and high school courses in History, Civics, and Classics, and he continues to teach a highly-regarded Worldviews class for high school seniors. 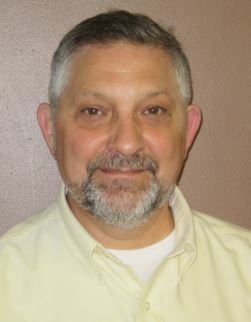 In addition to teaching, administration, and campus ministry, Mr. Williams has been a presenter at many professional conferences and workshops, and he has authored numerous published articles and book chapters on topics ranging from education and international student ministry to state and local history. Dr. Melody Green is the Dean of Urbana Theological Seminary, where she teaches classes on Tolkien, C. S. Lewis, G. K. Chesterton, and topics such as Christianity and Doctor Who. Prior to this, she taught at multiple institutions of higher education, all over the state of Illinois. Dr. Green publishes articles, essays and book reviews on Tolkien, C. S. Lewis, George MacDonald, and the TV series Doctor Who. A few examples of her publications include “Scapegoating and Collective Violence in The Lion the Witch and the Wardrobe” in New Casebooks: C. S. Lewis and the Chronicles of Narnia published by Palgrave Macmillian in 2012 and “Story: The Doctor’s Daughter” in Bigger on the Inside: Christianity and Doctor Who published by Square Halo Press in March of 2015. Dr. Green earned her Ph.D. in English Studies with a specialization in literature for children and adolescents from Illinois State University. 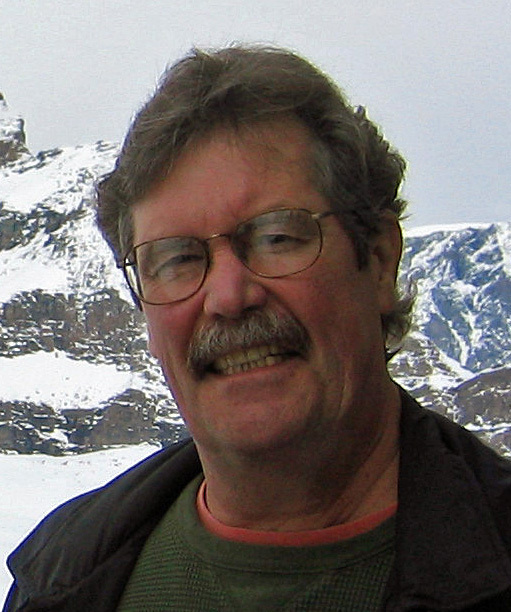 Professor Mike Foster has served as the North American representative of the Tolkien Society (Great Britain) since 1995. He has been a member of the Mythopoeic Society scholarship awards committee for Inklings scholarship and fantasy scholarship since 2000. He has presented and subsequently published papers at a wide variety of conferences in the United States, Canada, and England, and has been featured in interviews on Tolkien on ABC-TV World News Tonight and in magazine and newspaper articles published around the world, including the Chicago Tribune, Manchester Guardian, Los Angeles Times, Der Stern, The Prairie Sun, the Peoria Journal Star, and others syndicated and published throughout the United States and abroad. He was a member of the English faculty at Illinois Central College in East Peoria from 1971 until his retirement in 2005, where his teaching load included classes on J.R.R. Tolkien. His first specialty is English fantasy literature, especially Tolkien, C.S. Lewis, G.K. Chesterton, and J.M. Barrie. Since his retirement, he taught upper-division courses in Tolkien at Bradley University during fall terms 2006 and 2008. Professor Foster studied Tolkien’s manuscripts held at Marquette University, his alma mater (MA 1971), at the Bodleian Library in Oxford, and at the Marion E. Wade Center, Wheaton College, Wheaton, Illinois. He was a television panelist with Lord of the Rings film actors Craig Parker (Haldir) and Bruce Hopkins (Gamling) on Michael Coren Live, a CITS-TV live phone-in talk show broadcast nationwide Canada from Burlington, Ontario, in 2003 during Gathering of the Fellowship I, an international conference that drew over 2,000 to Toronto. Mike also has quite a large number of publications, including “Teaching Tolkien,” published in The Lord of the Rings: 1954-2004 , “An Unexpected Party: Tolkien in the 1960’s” which was published in The J.R.R. Tolkien Encyclopedia in 2006, and quite a few reviews and essays in Mythlore: A Journal of J. R. R. Tolkien, C. S. Lewis, Charles Williams, and Mythopoeic Literature. Dr. Billie Jarvis-Freeman is a lecturer of Literature and Humanities at Lincoln Christian University, in Lincoln Illinois, where she teaches a wide variety of literature courses. Her scholarly interests include contemporary adolescent literature, the Inklings, the Victorian fairytale, and religious and spirituality intertextuality found within all literature. Jef Murray (www.JefMurray.com) is an internationally known artist, author, and illustrator. His paintings, sketches, and writings appear in fantasy publications and cultural journals (Amon Hen, Mallorn, Beyond Bree, Silver Leaves, Mythprints, The St. Austin Review, Gilbert Magazine, The Georgia Bulletin) worldwide. His artwork has been featured in calendars, on websites (e.g. The Middle-earth Network, NarniaFans.com) in video courses and television specials on J.R.R. Tolkien, and in logo and book cover designs for corporate, nonprofit, educational, and entertainment clients. 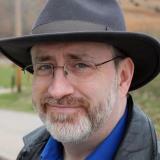 He is artist-in-residence for the St. Ausin Review (StAR), a founding member of The Middle-earth Network (legendarium.mymiddleearth.com), and is a regular speaker and presenter at fantasy and sci-fi themed events on the topics of fantasy art, storytelling, and the spiritual dimensions of art and illustration. Jef’s book illustrations have appeared in The Magic Ring: Deluxe Illustrated Edition by Friedrich de la Motte Fouque, Black & White Ogre Country: The Lost Tales of Hilary Tolkien by Hilary A. R. Tolkien, and most recently in Seer: A Wizard’s Journal, a collection of stories, poems, and essays written by the artist and offered by Oloris Publishing. Jef resides in Decatur, Georgia, USA, with his wife, author and columnist Lorraine V. Murray (www.LorraineVMurray.com) and Hamster-in-Residence Ignatius. He is also employed by the Candler School of Theology of Emory University, Atlanta, GA.
Undergrad at Franciscan University of Steubenville (Ohio) — BA Philosophy; Seminary: Kenrick-Glennon, St Louis. Ordained 1999. Served at St Philomena’s (Peoria); Peoria Notre Dame High School (chaplain and theology teacher); St Mark’s (Peoria); and St John’s Catholic Newman Center (2011-present). I started a class on Tolkien at Notre Dame High School and taught it for eight years. In 2004 I participated in Tolkien Conference at Marquette University, celebrating 50 years of publication of the Lord of the Rings. I was a panelist for a session on teaching Tolkien to secondary education students. 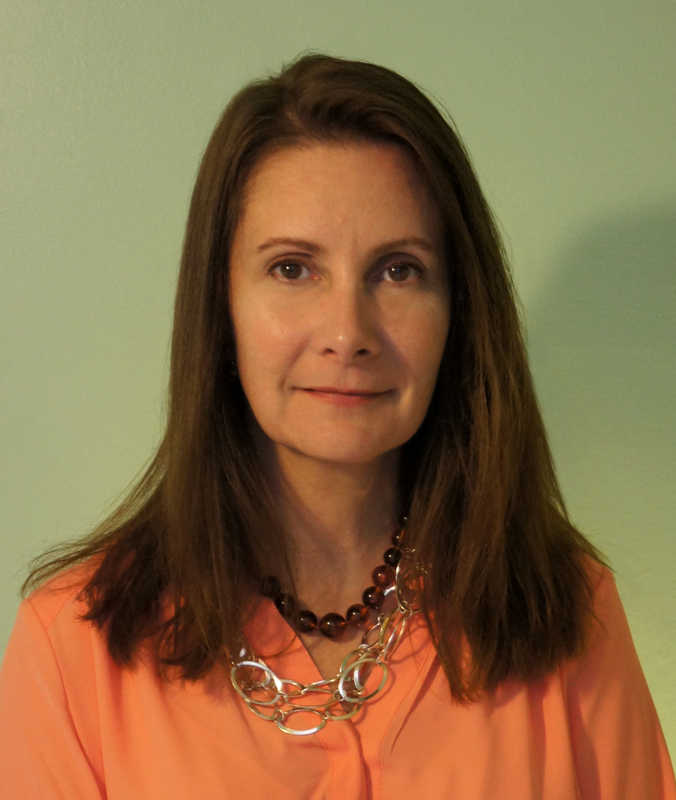 Dr. Green earned her Ph.D. in English Studies from Illinois State University. She has taught a course on Tolkien at Urbana Theological Seminary, and has presented on Tolkien at various conferences, including Mythcon, the annual conference of the Mythopoeic Society, and The Ring Goes Ever On, the International Tolkien Society’s conference celebrating the 50th anniversary of the publication of the Lord of the Rings which was held in Birmingham, England. She has also published articles on Tolkien, Lewis and the other Inklings. Rick D. Williams has been working with Christian students in educational settings for nearly 20 years. Following a 15-year career in teaching and administration at Judah Christian High School in Champaign, Illinois, Mr. Williams moved in 2011 to a new position as Housing Minister for the Baptist Student Foundation at the University of Illinois. There he oversees residential life and operations for three Christian cooperative residences which serve over 80 undergraduate and graduate students. Bryan Mead holds a BA in Film and Video from Columbia College and a MA in Film Studies from National University. He has taught introductory film studies at Judah Christian School in Champaign the past 4 years. Bryan is also finishing his MA in Religion at Urbana Theological Seminary. He plans to pursue a PhD in Cinema Studies with his main focus of study being the intersection of Theology and Film.